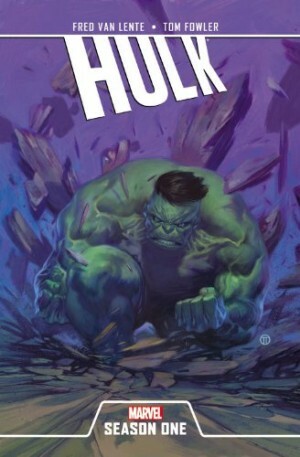 Marvel have previously issued two other Hulk graphic novels titled Future Imperfect. 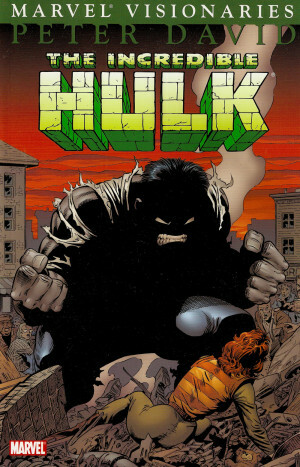 The first contained only the story of that title, the second combined it with The End, and it’s now included along with fifteen other Hulk issues following directly from Ghost of the Past. 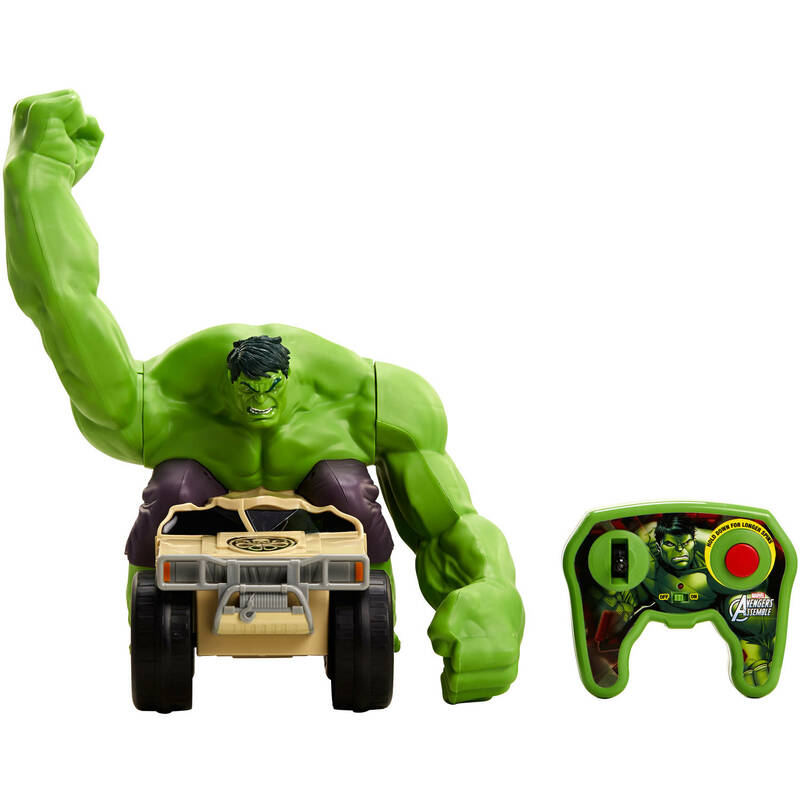 The collection features Peter David’s Hulk, the iteration whose intellect matched his prodigious strength, so massive, green and smart. That title story is worth the three collections it’s now generated, and sees the Hulk in the future, pitched against someone who’s more than his match. A more detailed review is found here, but it’s among the finest stories David wrote during a landmark run and has artwork by George Pérez that’s suitably detail packed and spectacular. Actually, ‘awesome’ is a not inappropriate description. 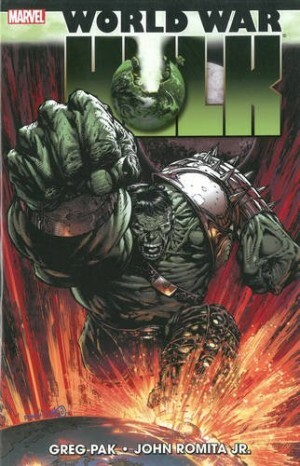 Regular Hulk comic continuity occupies the remainder of the collection, picking up in 1993. Marlo has returned from a vegetative state, so Rick Jones is happy, and the Hulk is charge of the near immortal members of global aid aggregation the Pantheon, which causes a few headaches. An interesting aspect of Peter David’s writing is that quips, other memorable dialogue (“Anyone who has the word ‘Hulk’ in their name come with me. The rest of you stay put.”) and interesting character snatches paste over what, to begin with, are a pretty motley collection of guest stars and foes for the Hulk. Insipid rather than inspired in some cases. Other matters prompt greater interest, such as a story dealing with incarceration without trial on American soil a full decade before Guantanamo Bay, and the psychological assessments of Doc Samson. Gary Frank’s art is excellent, offering thrilling superhero action, but also remaining interesting when pages of character building are required. Look closer, and there are little jokes for those who catch them, such as a cameo for the guy who killed Superman at the time the comics were first published, or a real life coyote and roadrunner scenario. Some are more obviously generated by David, such as the personification of Death from Vertigo’s Sandman series, providing a good joke. 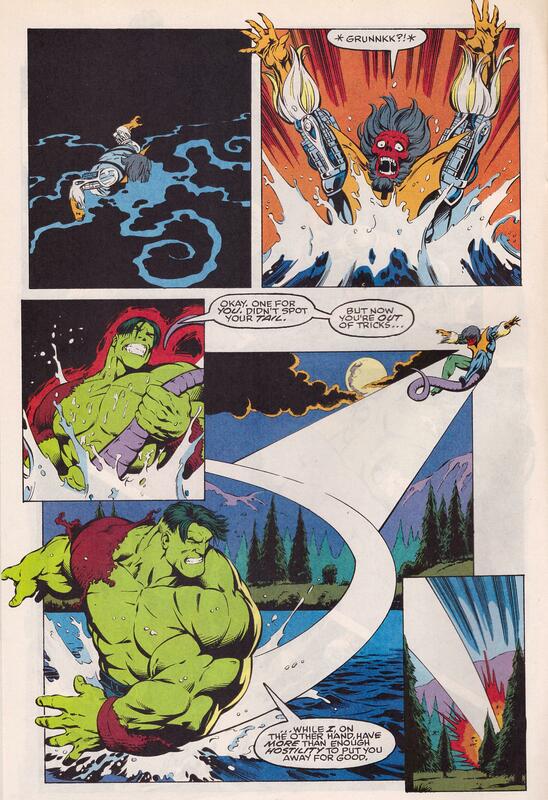 Other artists slot in occasionally, and it’s interesting to see people who’d later be excellent like Roger Cruz and Salvador Larroca working in Marvel’s ugly early 1990s house style, layering their panels with unnecessary lines and shadows. It’s the polar opposite of Frank’s clarity, but Stuart Immonen’s pastiche of children’s fairy tale art is clear and ornate. The second major feature is ‘The Troyjan War’, in which Pantheon member Atalanta is kidnapped by a violent, but lovesick alien prince. This is excellent. 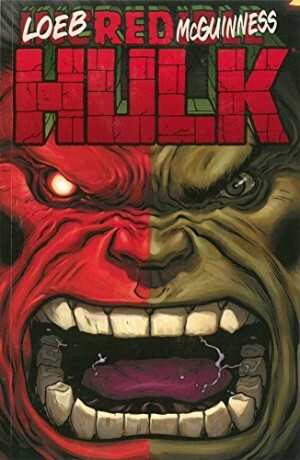 It reveals tensions within the Pantheon and a matter fundamental to their existence amid a space romp in which the ground shifts with every chapter, finally giving the Hulk something he’s able to let loose on. It’s counterpointed by the period leading to Rick and Marlo’s wedding, with their relationship more fractious than usual, memorably after a stag night discovery. 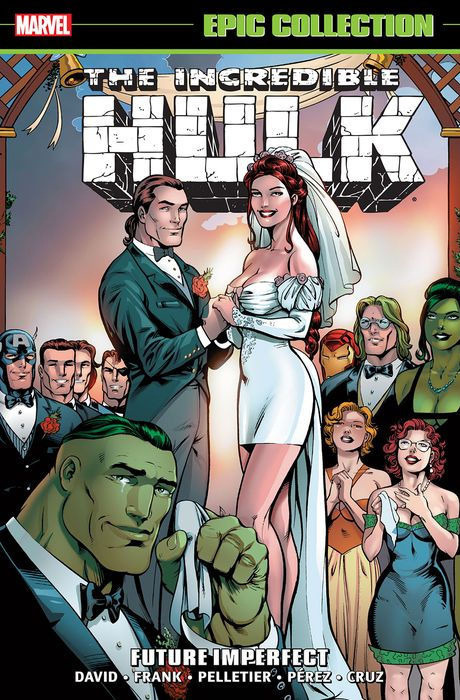 The consequences of that and of the Hulk’s trip to the future manifest in a couple of excellent chapters concerning the nuptials, although some elements may puzzle removed from the continuity of 1994. David gets to perform the ceremony, and there’s an unconventional epilogue. We have the bonus of solo tales for Doc Samson, and Pantheon members Ulysses, Achilles and Ajax, not all by David, and none essential. This, though, is a far finer selection of material than that offered by its inconsistent predecessor, where too many hands spoiled the content.